IT IS two years since Scottish mother-of-one Lisa Brown vanished in southern Spain, but her family remain determined to uncover the truth. The 32-year-old from Alexandria, Dumbartonshire, was last seen at her home in Guadiaro near San Roque on November 4, 2015. The alarm was raised when she failed to collect son Marco, then aged eight, from school. 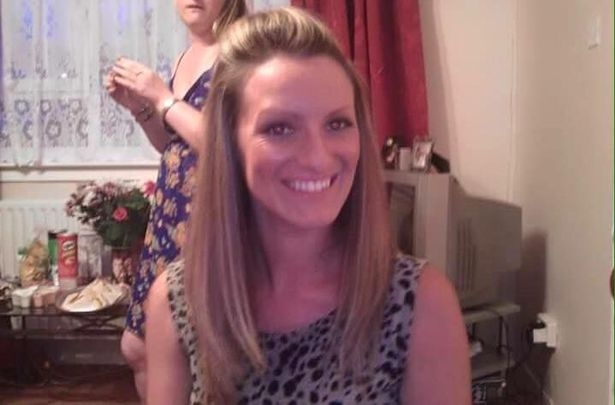 Her sister Helen Jordan marked the date on the ‘Find Lisa’ campaign Facebook page as she wrote: “This is a very long and hard week for us all, so many dates from last speaking to Lisa (2 years today) to being told she was missing. “So many what if’s and regrets–that we should of known something was wrong and we should of done more. We were supposed to protect her. She knew she was so loved by us all but its still very hard to accept. It comes after investigators launched a fresh search for Lisa earlier this year amid suspicions that her body was dumped after she was killed, while her former boyfriend and prime suspect in the case Simon Corner was in April released from an Algeciras prison on bail. Liverpool-born Corner, 35, was held in Denmark on a European Arrest Warrant in April 2016 and extradited to Spain after fleeing the country in the wake of Lisa going missing. He was reportedly born Dean Woods and changed his name after repeated brushes with British police, but he has to date maintained his innocence in the case. An alleged friend and second suspect, 51-year-old Stephen Jackson, currently serving a prison sentence in the UK for smuggling Albanian immigrants on his catamaran, may eventually face extradition to Spain for questioning. A third individual, 71-year-old Ron Beasley, was also arrested on suspicion of witholding information but later took flight to Portugal on his grandson’s boat before being rescued while adrift in a busy Atlantic shipping lane. He later said that he was “fleeing from gangsters and murders,” despite breaking the conditions of his bail after his passport was seized by Spanish authorities. Lisa’s family have taken their plight to the Scottish government and met with justice secretary Michael Matheson. They have amassed substantial funds via their Go Fund Me page, with a reward on offer for any information relating to her disappearance.